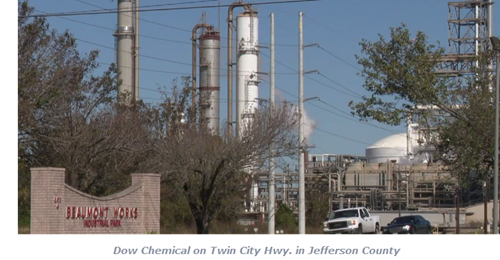 JEFFERSON COUNTY – Dow Chemical Co. in Beaumont cleared a major hurdle in expanding its plant. The Jefferson County Commissioners Court approved a six-year property tax abatement agreement between the county and Dow. David Winder, director of Texas public affairs and government affairs for Dow​ said the abatement would allow the company to modernize its Beaumont worksite on Hwy. 347 by building a new control room, offices and associated equipment for the manufacture of products.